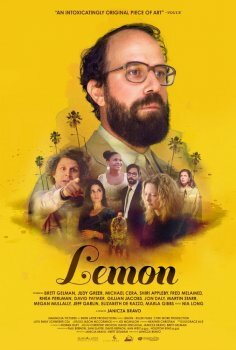 Lemon - Available as a download or stream? The comedy drama film "Lemon" from director Janicza Bravo was released this month featuring an all star cast. Bravo co-wrote the film with her husband Brett Gelman, who stars in the lead role. The cast also features Judy Greer, Michael Cera, Nia Long, Fred Melamed, Shiri Appleby, Gillian Jacobs, Jon Daly, and Martin Starr.